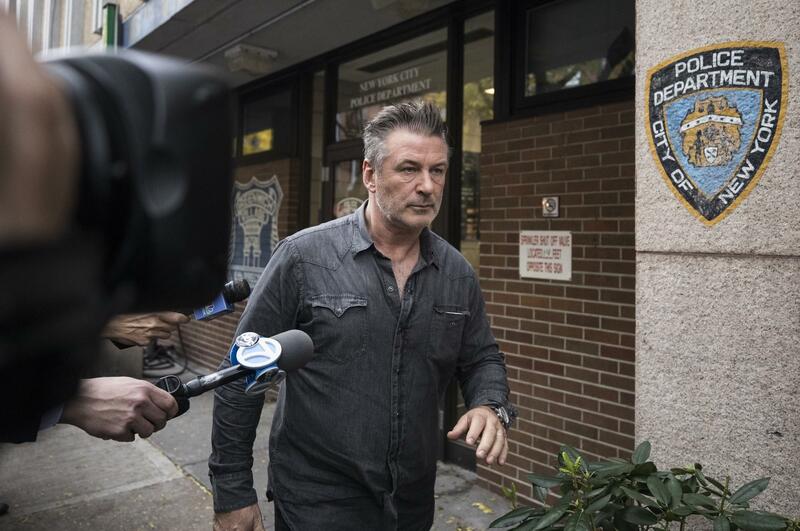 NEW YORK — Alec Baldwin is denying that he punched anyone over a parking spot and says an assault allegation is being reported "for the purposes of clickbait entertainment." The actor was arrested Friday and charged with assault and harassment after allegedly hitting another man in the face during a dispute over a parking spot in New York City. In a second tweet, Baldwin complained that it's become a "sport" to tag people with as many "negative charges and defaming allegations as possible for the purposes of clickbait entertainment." It read: "Fortunately, no matter how reverberating the echos, it doesn't make the statements true." Baldwin, 60, told police a family member was holding the spot in front of his Manhattan home when a man driving a Saab station wagon pulled up and took it. The driver of the station wagon told police Baldwin hit him with his hand, but he wasn't sure if it was a punch or a slap. Baldwin, the star of former television sitcom "30 Rock" and current host of "Match Game," plays President Trump on "Saturday Night Live" and recently started a talk show on ABC.